The 25-mile Boise River Greenbelt is one of Boise’s most beloved parks. The tree-lined pathway follows the river through the heart of the city and provides scenic views, wildlife habitat and pedestrian access to many of the city’s popular riverside parks. The Greenbelt also serves as an alternative transportation route for commuters. As you walk along the Boise River Greenbelt with its towering trees, lush riparian areas and abundant wildlife, you may get a sense that this beautiful setting has always been here for us to enjoy. Quinn’s Pond and the Boise Whitewater Park. 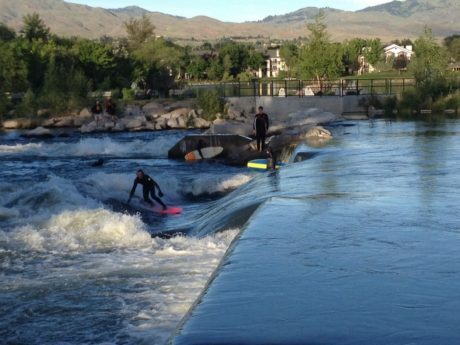 The Boise Whitewater Park is available for a variety of board & boat sports. Swimming, paddleboarding, kayaking and fishing are popular activities at the park. 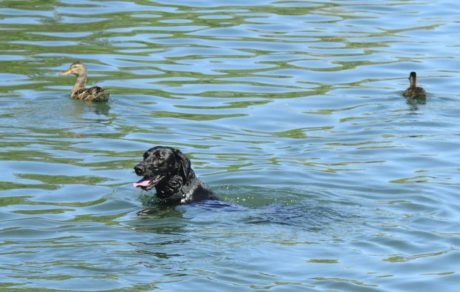 The park is located between Main Street and Veterans Memorial Parkway on the Boise River Greenbelt. Surfers from around the world are visiting the Boise Whitewater Park. Greenbelt users can learn about Idaho’s native birds and their habitats thanks to three signs provided by the Coeur d’Alene-based WREN Foundation. Illustrated with original artwork by Boise graphic artist Grady Myers and large color photos, Idaho Birding Trail signs will help you and your family identify our state’s birds and learn about birds’ habitats and behavior. Find out how they raise their young, what they eat, and what we must do to conserve them for future generations. The Idaho Anne Frank Human Rights Memorial is a .81-acre educational park inspired by Anne Frank’s faith in humanity. An inspirational and contemplative site adjacent to the Boise River Greenbelt, the park is maintained by Boise Parks & Recreation in partnership with the Wassmuth Center for Human Rights. 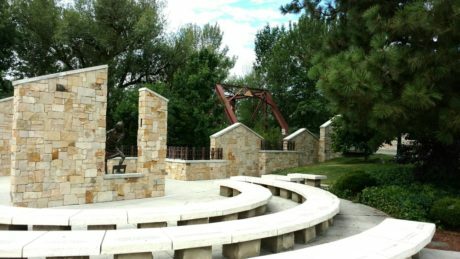 Kurt Karst, an Idaho Falls architect, designed the Memorial to integrate the beauty of natural elements- water, stone, and native plants-with a message of hope. For more information on the memorial Click Here. Click Here for directions to the memorial.